The Battalion was constituted 05 July 1918 in the National Army as the 31st Field Artillery and assigned to the 11th Division. It was organized at Camp George G. Meade, Maryland 6 August 1918 but relieved thereafter from its assignment to the 11th Division on 30 September 1918. The unit demobilized 09 December 1918 at Camp George G. Meade, Maryland. On 22 July 1929, 31st FA was reconstituted in the Regular Army and assigned to the 2nd Division but was, once again, later relieved on 01 January 1930 from its assignment to the 2nd Division. The Battalion was subsequently assigned to the 7th Division on 01 July 1940 and activated at Camp Ord, California where it was reorganized and re-designated as the 31st Field Artillery Battalion on 01 October 1940. It underwent another reorganization and re-designation on 1 July 1957 as the 31st Field Artillery, which was a parent regiment under the Combat Arms Regimental System. 31st FA was then withdrawn from the Combat Arms Regimental System 16 March 1989, reorganized under the United States Army Regimental System, and transferred to the United States Army Training and Doctrine Command. 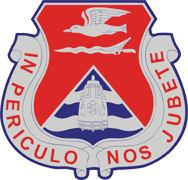 The unit was re-designated as the 31st Field Artillery Regiment on 01 October 2005 and began the reactivation process on 1 October 2010, falling under the 434th Field Artillery Brigade. The Battalion is credited with participating in multiple campaigns in World War II as well as the Korean War. It has been distinguished with several decorations, to include the Philippine Presidential Unit Citation and the Republic of Korea Presidential Unit Citation that was awarded on three separate occasions.